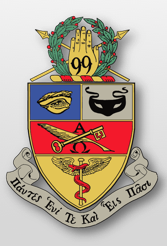 Kappa Psi was founded on May 30, 1879 in New Haven, Connecticut, and currently there are 191 chapters (110 Collegiate and 81 Graduate chapters), more than six thousand collegiate members, and over eighty seven thousand graduate members across the United States, Canada, and the Bahamas. The Central Office has sent out 2019 dues invoices to Graduate Chapter email addresses. Due date is March 15th. An article was published in the first issue of The MASK in 1904. It states, “The greatest drawback the Fraternity has to contend with, and one that is very easily remedied, is the lack of interest shown the Fraternity by the members after they graduated.” To help connect graduates to the fraternity, The MASK was created. One hundred and fifteen years later, we continue to discuss the “easily remedied” issues to foster ongoing involvement of graduate Brothers. To our graduating Brothers: your journey as a Brother of Kappa Psi is life-long. There is a large group of graduate Brothers ready to welcome you as you embark on this transition. Whether you are staying local or relocating across the county, the opportunity to be an active graduate Brother exists. A reminder that the Graduate Chapter Referral Form is a great tool to help connect to a graduate Chapter if relocating. Kappa Psi Pharmaceutical Fraternity is the oldest and largest pharmacy fraternity with a mission to develop leaders with a passion for service to their community while creating lifelong professional connections. Once a brother of Kappa Psi, you become a brother for life. The first step to becoming a lifelong brother starts with the "rushing" process. "Rush" is a term for recruitment. This period of time is meant for our fraternity to meet future brothers and for pharmacy students to see if they can see find themselves in our fraternity for years to come. After the rushing process, current members of the local chapter will meet to determine which candidates they would like to move forward in the interview process. Those selected will be given a "bid" to start the "pledging" process. "Pledging" is the final stage of interview prior to becoming a brother of the fraternity. During this time period, pledges will learn about the values and principles of the fraternity and what it means to become a brother for life. Kappa Psi fraternity has a strict no-hazing policy. If at any time, you believe hazing may be going at your school, please immediately notify our Central Office at centraloffice@kappapsi.org and an investigation will be opened into the matter. As you journey down the path of life and pursue a career in pharmacy, developing yourself professionally and adding leadership skills ranks as important as developing your personal clinical knowledge. Becoming a brother of Kappa Psi Pharmaceutical Fraternity is the best way to accomplish all of these goals and more! Our fraternity encompasses over 6,000 collegiate brothers and 87,000 graduate brothers. For more information, please view the PDF attached below and stay tuned to campus news for your local chapter’s rush events!